UNCW Campus Dining offers a variety of meal plans tailored to fit students' busy schedules. Meal plans are convenient, flexible, and loaded with options. Meal Plans give you easy access to dining locations across campus with a range of hours from as early as 7:00 a.m. to as late as 1:00 a.m. With Teal Meals, All Access Meals, Guest Meals and Food Dollars to access these services, you get guaranteed value, whether you eat on campus three times a week or three times a day. 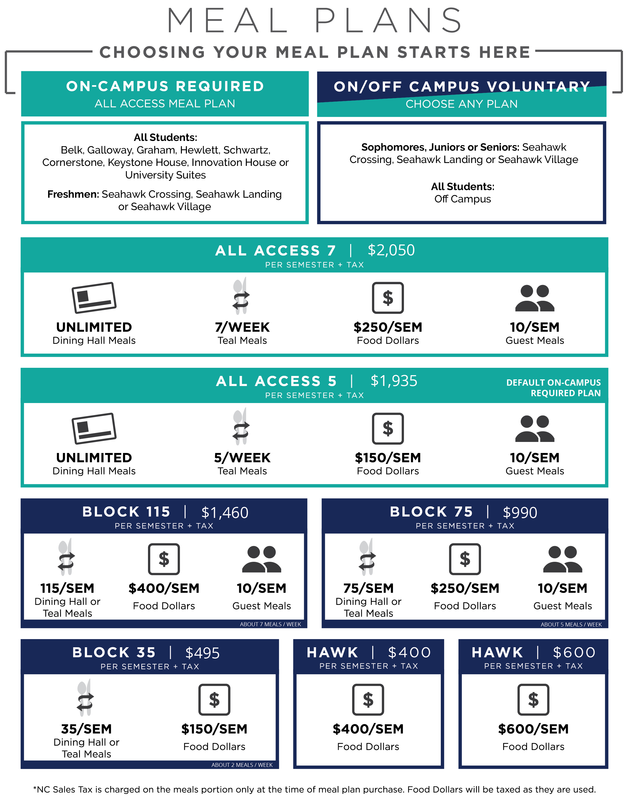 With a meal plan there's no need to carry cash or a credit card; it's all on your UNCW One Card! Visit Meal Plan Options for more information.